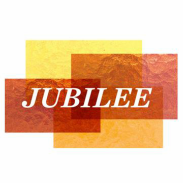 Jubilee Ministries are congregations or agencies with connections to the Episcopal Church, designated by diocesan bishops and affirmed by Executive Council, whose mission work affects the lives of those in need, addressing basic human needs and justice issues. The creation of Jubilee Ministries was by an act of the 1982 General Convention as "a ministry of joint discipleship in Christ with poor and oppressed people, wherever they are found, to meet basic human needs and to build a just society." The term "Jubilee" means the fiftieth year. It is derived from Lv 25:10, which says that the fiftieth year shall be a jubilee: "you shall return, every one of you, to your property and every one of you to your family." Congregations of the Episcopal Church as well as of ecumenical clusters, that are already directly engaged in mission and ministry with poor people, can apply for the designation of being a Jubilee center.